Thor, The Modern Myth – Chris Hemsworth Astrology And Personal Horoscope! Piercing blue eyes, muscular physique and a billowing mane of golden hair – there’s no denying that the casting of Chris Hemsworth as Thor was a great choice – but how fitting is the archetype of Thor in the Australian actors chart? In Norse Mythology the planet Jupiter is associated with Thor, God of Thunder. The storm-weather god of sky, his iconic hammer is said to be one of the most fearsome and powerful weapons in existence; he’s also a fertility god. Such an influential deity, he even has a day of the week named after him: ‘Thors’ day or Thursday to you and I. See Top Fashion Picks for each day of the week – according to astrology – here! 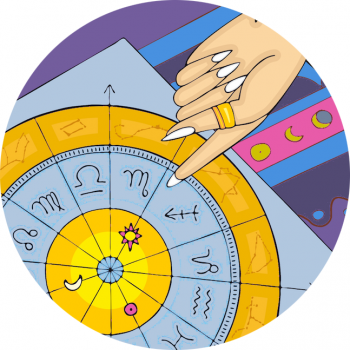 Without a birth time we can peer into the professional life of the actor by casting a noon chart, which is said to describe the professional and public image of an individual. Incredibly, using this method, Chris Hemsworth has Jupiter–Uranus rising; Uranus is the astrological influence associated with electrical storms, while Jupiter is the archetype of Thor himself! His Sun in Leo – destined to play the hero – falls in the 9th house, the natural home of Jupiter and Sagittarius compelling us to believe in him even more. Let’s face it – there’s plenty of fans worshipping at the temple of Hemsworth. Chris’ 10th house moon, Mercury and Venus in Virgo indicates an intellectually competitive relationship with siblings for parental recognition and professional notoriety. In addition, he has Mars in patriotic, defensive and family oriented Cancer – Thor is a warrior who battles to defend his homeland, and the people of Asgard. On screen, Thor’s manipulative and mischievous adoptive brother, Loki (Tom Hiddleston) is a descendant of the Frost Giants, enemies of Asgard. Off screen the Hemsworth brothers are known not just for their acting skills, but their good looks – a bevy of attractive, talented and well known actors. Mars squared by Saturn and Pluto in Libra adds a volcanic element to Chris’ anger which can be challenging to control, not unlike our deity of discussion. But this combination can also indicate animal magnetism and a stamina which has been cultivated through a series of hard-knocks. All being said, the brains and braun possessed by the Norse God are perfectly described, as are the family dramas echoed through the archetypal patterns in Chris Hemsworth’s professional chart. He was even born on a Thursday! Who better to wield Thor’s Hammer in the Marvel Cinematic Universe?